The most common question I get asked in the gym is, "What should I eat after my workout?" While it's important to achieve balanced nutrition all day, the post workout meal is the one that is replenishing glycogen stores and repairing damaged tissue! What is glycogen? Glucose (sugar) is stored in the muscles as long chain molecules called glycogen. Carbohydrate is digested, absorbed in to the blood, and transported to the muscles and liver to be converted to glycogen. During exercise, the body burns a combination of glycogen and fat, but glycogen depletes faster as fat storages are plentiful in the body. What is the role of protein? Protein (from both animal and plant sources) is digested and absorbed from the intestine into the blood to be made into body proteins that feed blood, antibodies, enzymes, hair and muscle. The proteins that feed muscles repair the microscopic muscle tears that occur during exercise. Why are carbs and protein necessary post workout? Replenishing carbohydrates stores post exercise returns glycogen to normal levels. If carbohydrates storages are inadequate, muscles will draw from other food sources for energy. This means that the muscles will start burning protein as fuel. This means that protein stores are being used for something other than its main function, leaving inadequate protein storages for muscle tissue repair. This leads to muscle catabolism (the burning of muscle for energy) and decreased metabolism. The message: If you don't consume enough carbs and protein post workout, you will be less jacked. How much? Ideally, your post workout meal will consist of 50-100g of carbohydrate and 10-20g of protein within 15-30 minutes of completion of exercise. An example of a meal that fits the recommended amount of carbs and proteins is: 1 whole wheat pita with 2 tbsp hummus, 3 slices of turkey, and one medium apple is 64g of carbs and 18g of protein. If you have a couple hours until your next meal, an easy, on the go snack that works is: 1oz. 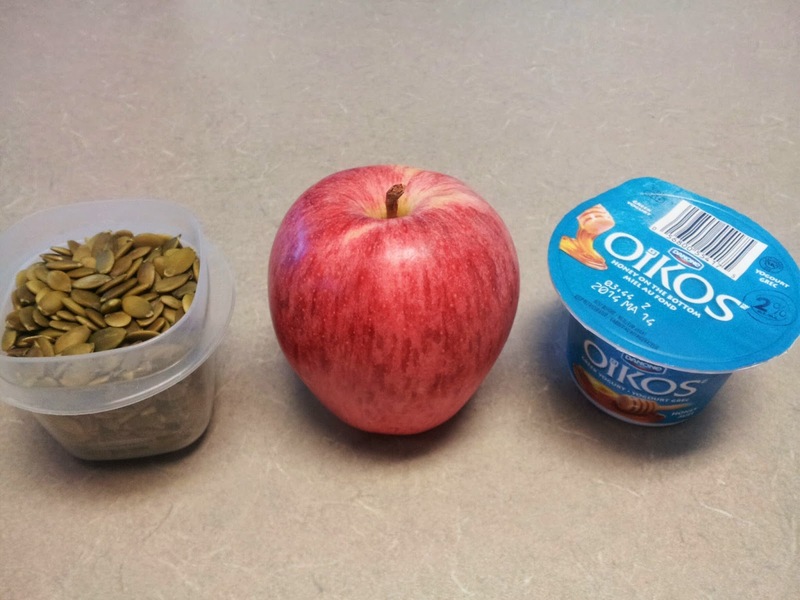 raw pumpkin seeds, 1 medium apple, and 100g (one individual serving pack) of Greek yogurt with honey. This combination is 61g carbs and 17.5g of protein.